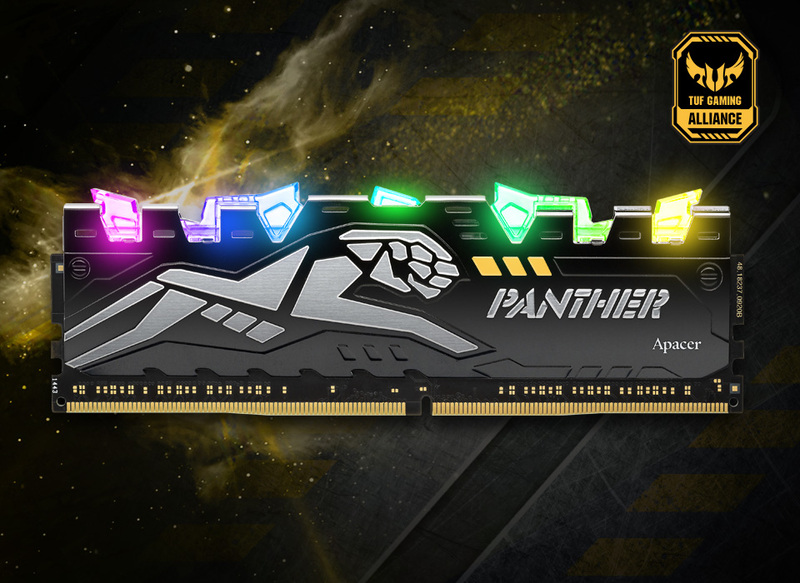 Since its last incarnation, PANTHER RAGE DDR4 has evolved from single-light LED to splashy RGB. 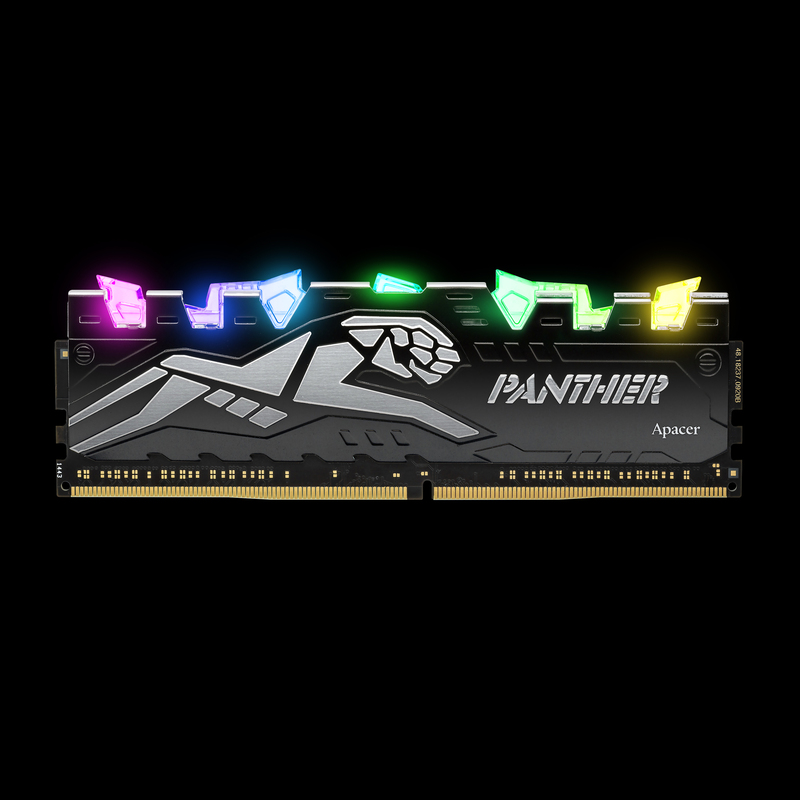 The use of highly transparent light makes Panther’s prism-like teeth more vivid. By implementing Apacer’s patented light-homogenizing technology, the LED light glows evenly. The golden-mirrored finish refracts the light into a riot of colors. 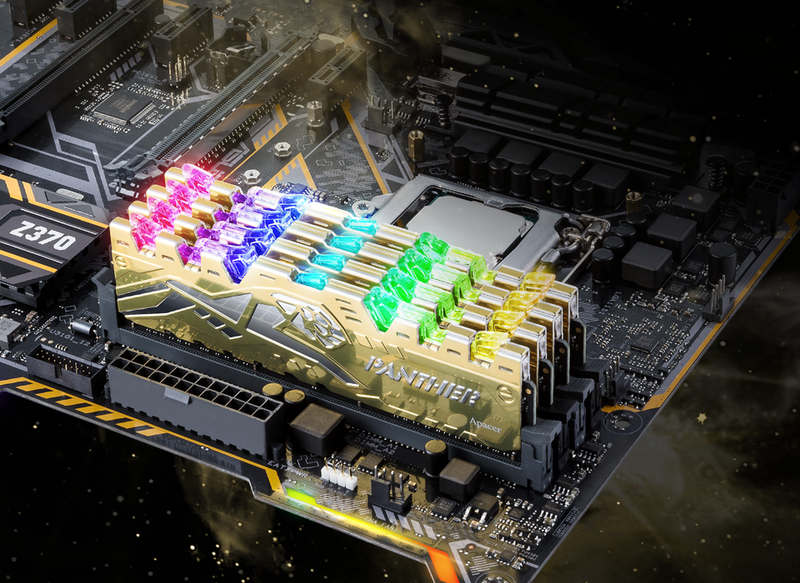 This beautiful new look results in a vivid gaming experience. By integrating with ASUS AURA SYNC, it gives users complete control of the light show. 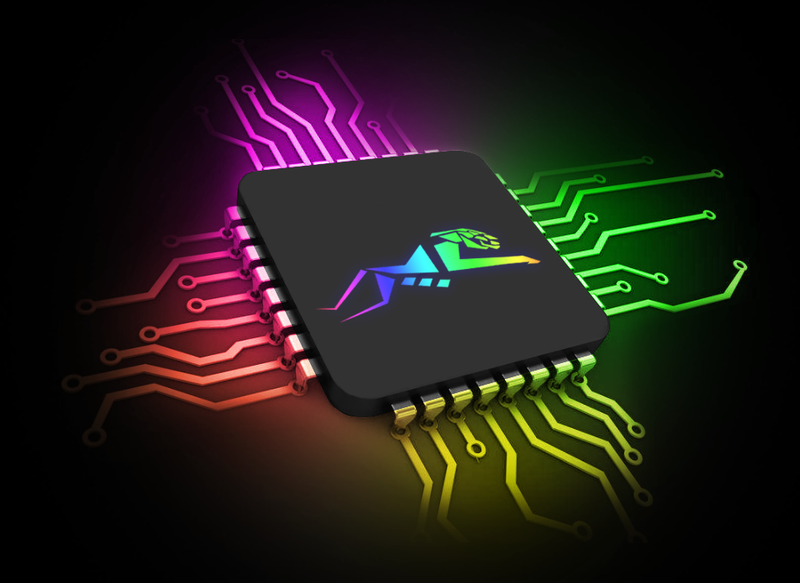 It has multiple lighting patters and different devices can be synchronized. Users can effortlessly customize patterns to reflect their personalities. 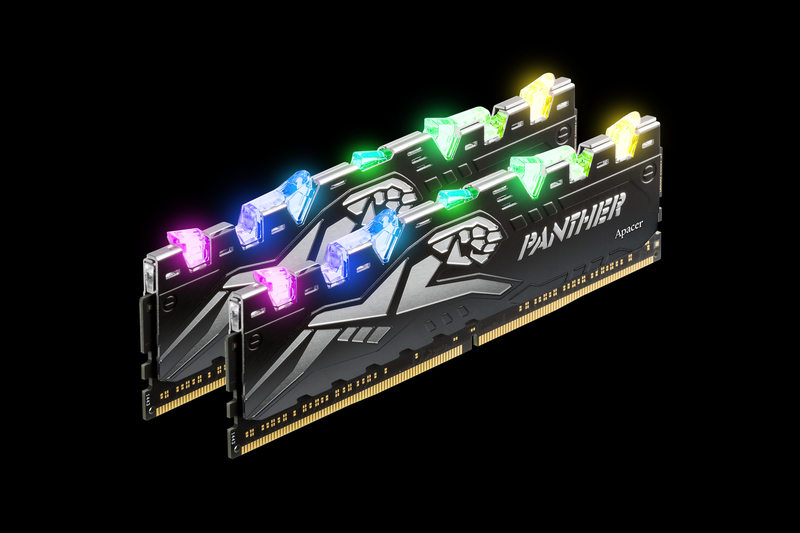 By implementing the newly developed hardware architecture to enhance the RGB controller, PANTHER RAGE DDR4 RGB’s leading technology has improved the performance by 200%. 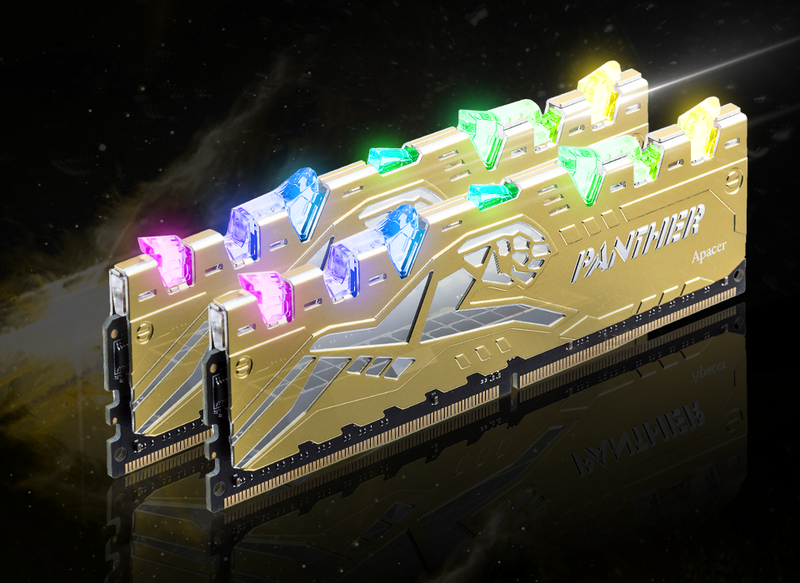 PANTHER RAGE DDR4 RGB offers options in 2400/2666/2800/3000/3200MHz for use to overclock on Intel® XMP 2.0 without manual adjustments on BIOS parameters. 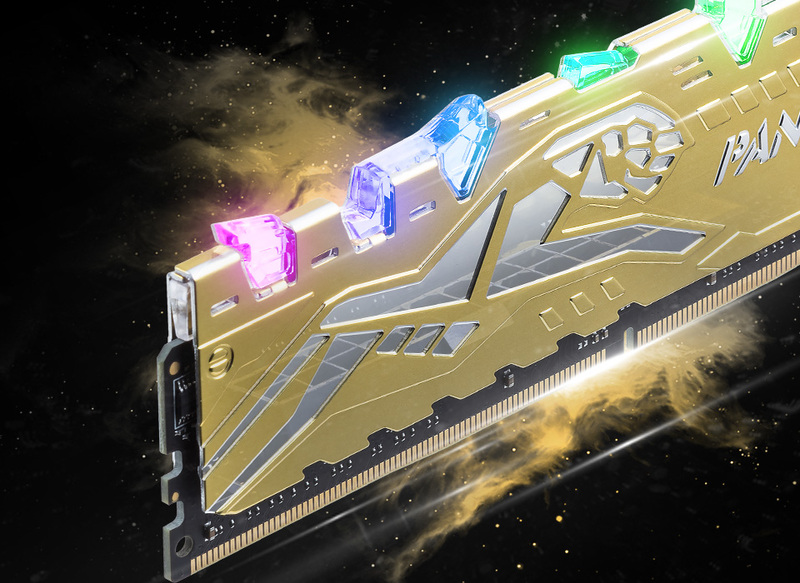 Available in 8GB, 16GB and 32GB, this memory module can be combined up to a total of 128GB memory on Intel motherboards to achieve mind-blowing performance. 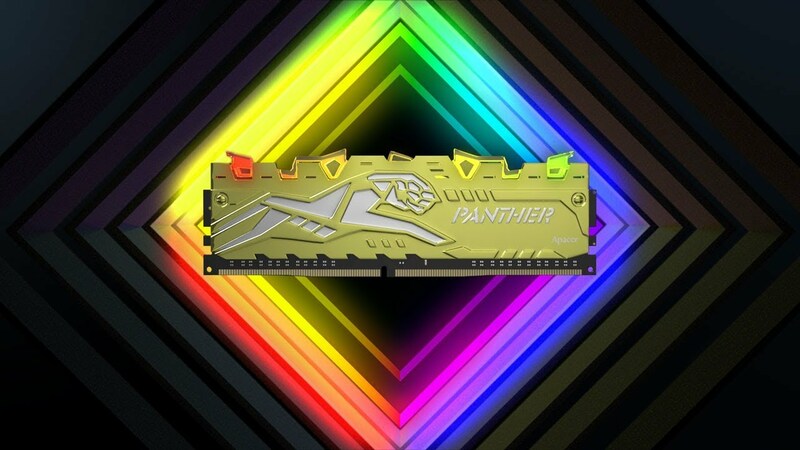 Apacer has teamed up with ASUS TUF Gaming to design a new edition which integrates Apacer’s PANTHER with the solid, durable and camouflaged force from TUF gaming. It shows the determination to thrive on every battlefield.